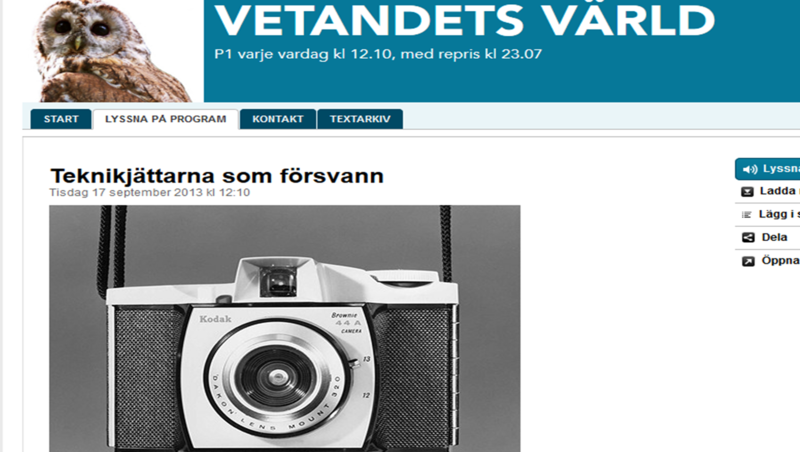 Today I’m featured in a Swedish radio programme concerning disruptive technological change. You can listen to it here. This entry was posted in Uncategorized and tagged Innovation, Radio, Teknikjättarna, Teknikskiften by admin. Bookmark the permalink.